Printed by Perkins Bacon, London. 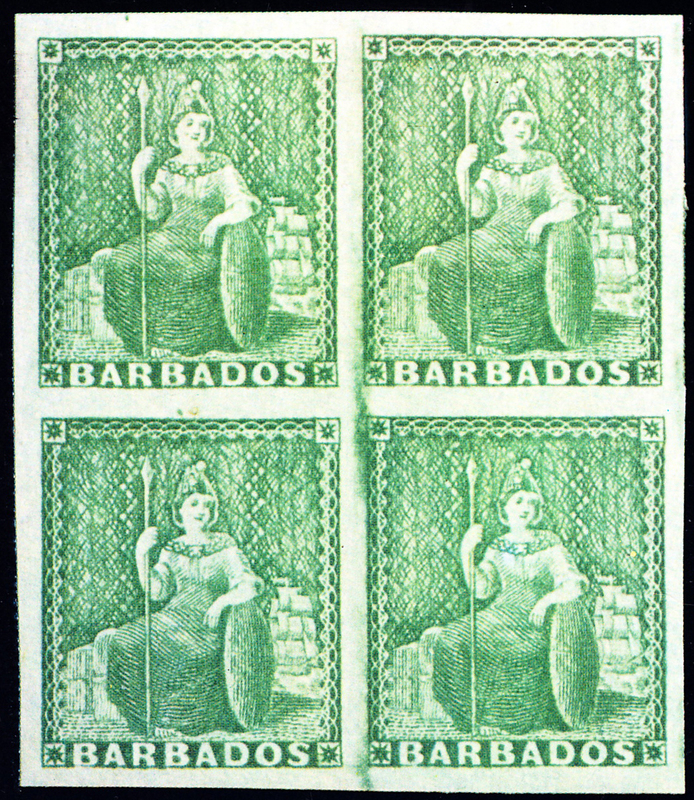 Barbados (like Trinidad) used undenominated stamps until 1867. The first batch of stamps printed for the island in the 1d and 2d values were lost at sea in the wreck of the S.S. Amazon. The paper used for all values had a 'bluish tinge' until 1855 and was white thereafter.